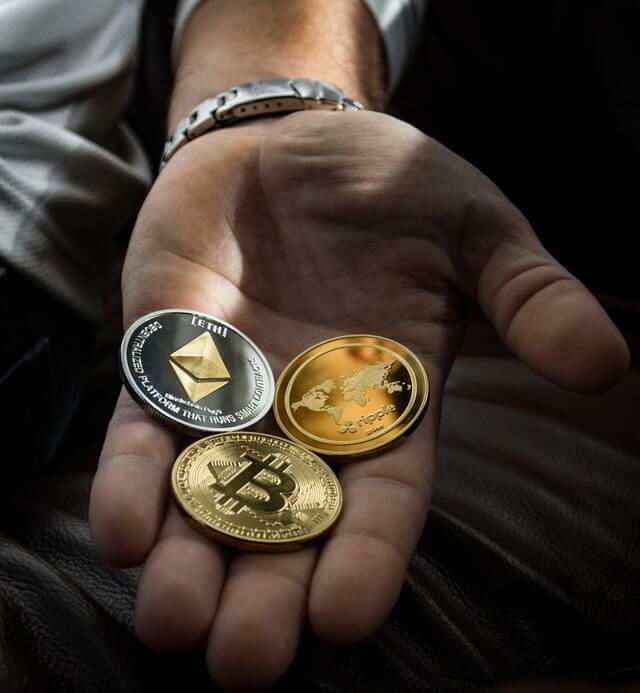 The launch of Bitcoin in 2009 brought the world the possibility of using blockchain networks, or at least some form of distributed decentralised ledger technology to advance the world of international trade. 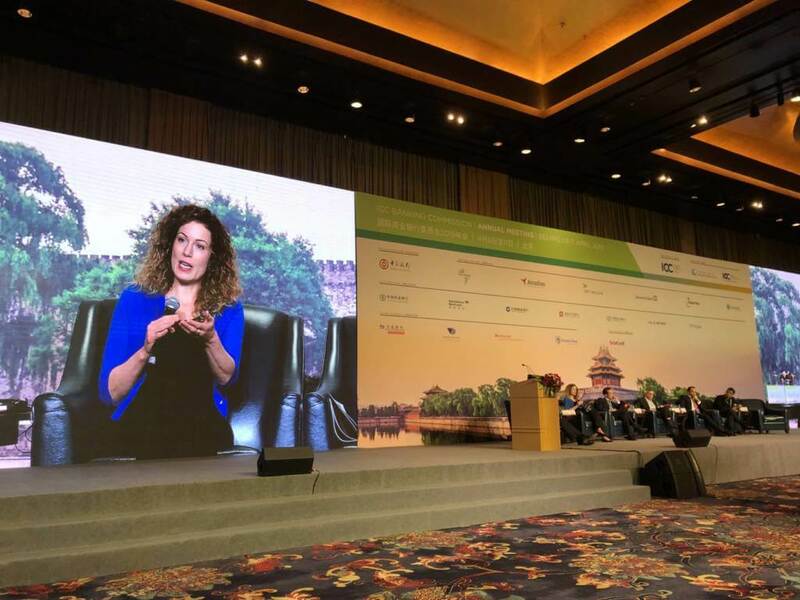 Trade Finance Global heard from David Bischof, ICC Banking Commission, Alisa DiCaprio, R3, Wei Kai, Cloud and Big Data Institute (CAICT), Nitin Gaur, IBM Blockchain Labs, Vinay Mendonca, HSBC and Thierry Roehm, we.trade and Societe Generale at the ICC Banking Commission Annual Meeting in Beijing last week. Back in June of 2017, IBM’s CEO and member of the American Technology Council, Ginni Rommety said “blockchain will do for trusted transactions what the internet did for communications” and this is no small feat. A recent IBM (NYSE:IBM) study suggested that as much as 62% of executives across America believe blockchain will be a disruptive force in the world of business by 2021. Furthermore, 55% of OEM’s believe implementing blockchain into their models will help the issue of imperfect information. One particular concept that blockchain has brought to the world of business is smart contracts. Contracts that are conceived through computer programming, meaning it is in the code that comprises the contract that holds parties to their contractual agreement. In many cases, these parties could be complete strangers, on the opposite side of the globe but both operating on a real-time, single truth. We are seeing a global influx into the potential business world of blockchain. Nasdaq announced their first shared transaction back in 2017. They also announced in January 2019 a $20million investment in Symbiont, a start-up looking at the institutional applications of blockchain technology. On top of this investment, Nasdaq have also announced a commercial integration, which will result in the inclusion of Symbiont’s blockchain and smart contracts platform, into the Nasdaq Financial Framework (NFF). What is blockchain and why would it be useful for trade finance? How different consortia can not only co-exist, but create sufficient interoperability in the future. Alisa DiCaprio. AD – Head of Research and Global Trade Strategy, R3 which started as a consortium of banks. They are a blockchain platform that build Corda. Wei Kai. WK – Chairman of ITU-T Focus group on Distributed Ledger Technology and Application and Vice Director of Cloud and Big Data Institute, CAICT. Thierry Roehm. TR – Chairman of the board we.trade, representing Société Générale. I am now in charge of the digitalisation of the Société Générale. Thierry has been a board member since the beginning, and came out as Chairman at the ICC meeting in Beijing. Vinay Medonca. VM – Managing Director and Global Head of Product & Propositions, Trade and Receivables Finance, HSBC. One of Mr Mendonca’s key priorities at the moment is ensuring the long term sustainability of the trade solutions. Nitin Gaur. NG – Director, IBM Blockchain Labs. Nitin also founded the IBM Blockchain labs, which is a client facing entity dealing with all blockchain projects. NG: I think that’s the billion dollar question. If you look fundamentally at what we are trying to address with blockchain, we are trying to solve two things; time and trust. 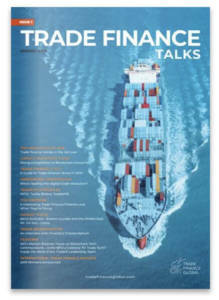 These two constructs have enormous implications in most industries, but let’s focus on trade finance as that is the focus of the event. We have in part talked about the inefficiency in terms of the paperwork required. With a use-case perspective, it then becomes an issue of what do we do with not just digitisation, but applying blockchain meaningfully to enable us to solve the issues of time and trust. What even more interesting is that new business models that can’t exist today, we begin to see with a full blockchain image existing tomorrow. VM: For at least the last 25 years, the banks have held discussions with various bodies such as regulators, insurance entities etc. to try and make trade faster and simpler, all the while providing end-to-end visibility – how we’ve struggled. Why? Because the traditional technology required the creation of a common data base, where we all have to share information into that database. The banks were not comfortable with sharing information with the shipping industry and vice versa, for example. Effectively, we didn’t really get much traction. 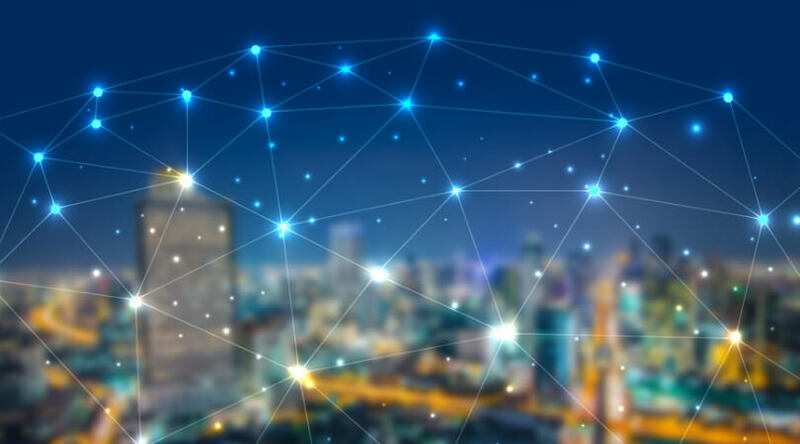 What blockchain – and more particularly distributed ledger technologies – allows us to do, is to exchange data relevant to a transaction for what you needed with all these parties. This would mean we are all working on a single version of truth, which allows us to play faster and easier. WK: I agree with the panellist, the opportunity to explore the blockchain technology is remarkable. In terms of opportunity, I think sectors such as supply management, manufacturer, transportation as well as health care and government sectors would all benefit greatly from blockchain. I think the key work of the blockchain is to transform the way that we can construct the trust, finding a way that we can do this with low costs. DB: So we were discussing this morning, the difference between corda and (hyperledger) fabric. I think many people in the audience might have heard the terms, but I don’t really know what is behind them. Could you help us please, Alissa. AD: Right, Corda and fabric are two different blockchains. Both of them are private permission blockchains. So, you hear about public blockchain, this is like Bitcoin or Ethereum. These networks are inherently interoperable, but there’s also no confidentiality. Every node has the entire blockchain replicated on that node. So in an industry like trade finance, there needs to be confidentiality of data exchange. So that’s why we really see fabric and Corda as the main blockchains in this sector, because they are private and permission. There is a couple of differences between them. The first is how we’ve solved the confidentiality problem. Corda uses a point-to-point architecture, whereas fabric has a different type of architecture, where different business networks can build different channels into either their suppliers or their buyers. A second difference is really more of a business related difference. So with R3, we build and maintain the platform Corda, but we don’t build applications on top of that. It’s open source, we kind of rely on our partners to form consortia or to build those applications. So different technology partners, for example if you’ve heard of Marco polo – that’s built by TradeIX, which is a technology partner building on top of Corda. Whereas with fabric, IBM maintains that but also has the ability to build applications on top. So those I would say are the two sort of overarching differences between them. DB: Thank you very much. Moving on, there are so many different consortiums out there, but what do they have in common? And what is the difference between these? Also how does a bank decide which consortium to join? VM: I think success for the platforms out there currently is only going to come about by scale. Scale the number of clients that have opted in, the number of banks that have opted in, but also the other logistical players like I said previously – the shippers, ports etc. So one of the things we are interested in across these consortiums is to keep the barriers to entry very low. Whether that’s the fees for usage of the platform, the terms and conditions, or the technology tools necessary to join the platform, we want to make it easier for clients etc. to get on board. That’s quite important in terms of which consortiums we join, but there is two parts to it. I mentioned HSBC is certainly a driving a role in some consortiums, but we are also happy to join other working groups to service the needs of clients as users. You don’t necessarily need to join the consortium as a holder of equity, you can also use it as a user. I think the challenge is if there are going to be different consortiums to service different needs, at some stage, how will those operate across or trade with each other so that clients don’t have to join multiple. This is where the business standardisation and interoperability across these platforms needs to be achieved. I think the technology interoperability Is something for later. I think what is really important, is the ICC as well as other banks and other industry players playing their role in establishing a business standard. If ICC for example, were to establish something, then there would be a global update and acceleration in the pace of adoption. AD: When we’re talking about consortiums, R3 is a banking consortium yes, but each of the business networks that’s established within is also a consortium. So there is different ways that you can engage with that. You want to have regulators engaged, for example. You want to have clients engaged, and you want to make sure that you get the right feedback so that whatever you’re producing out of the consortium, is actually useful for the entire eco-system. Trade is not just one bank or one client, Its everybody. So you really need to make sure you have the wider ecosystem involved, and in different ways. DB: Ok, you mentioned standards there – what kind of standards do we need at the moment? And what kind of standards will we need at a later stage, and also how do we get there? VM: the reality is that there are going to be different consortiums. Whether they are led by regulators, led by documentary trade or open account trade. There are also going to be consortiums on the shipping and logistics sides and they are unlikely to be consolidated. So it’s quite important we clearly articulate how we will exchange information around a single trade transaction that will affect all of these different consortiums. Right from where the trade happens within the buyer-to-seller dynamic, to the point of movement of the goods, to the financing of the risk mitigation – all happening in different consortiums. So how does that happen? At a bare minimum, I think it’s important some business standards are established. Otherwise, we run the risk of making the problem even worse, where they’ll be more digital items that don’t connect with each other. Once those business standards are established, the technology interoperability is something that can always be worked out later. Things like, the message protocols, etc. I think if you look to the TV industry, whether it’s HDMI, HTTP, HTML, they’re all standards that have quite successfully been established, and we need to go in that direction. I think establishing a business framework right now is quite important. To try to drive that discussion. TR: I fully agree with you. It is business, that is the first priority. The key is now, to build a global framework and to organise the dialogue between the platform blockchain and its growth. DB: Thank you. If we move our focus back to standardisation. WK: Last year our blockchain network association in China issued a paper of supply chain finance. We investigated the challenges that were faced by the customers. The highest priority from these customers was security and privacy. The second priority is the scalability, performance and availability. Also, we are looking at consolidation with existing platforms, and finding out how to interoperate with these existing systems. I agree with the panellists before, standardisation lies in two demands. The first is the technical demand, the other is service application demand. Concerning the technical demand we first need to find out the definitions, find out what means what. A fundamental stand on terminology with a key role from the ICC would greatly help this. NG: I would like to add to that – The ISO TC 307, which is a blockchain standard has all the taxonomy. It has all the things you talked about in terms of protocol, in terms of things that we can do. I think on many levels, including R3 and IBM, we have published papers in terms of technology, agnostic design of what blockchain should be. I think in most blockchain solutions it represents a transactional layer. What that means is alone, blockchain cannot do everything. It still has to rely on some of the existing technology. This is where the interoperability comes in, and the need to incorporate that into future models. AD: I think a lot of what we’re trying to do today, is we’re using blockchain as a catalyst for a lot of changes that we should have made many years ago. I mean, as we started to use electronic documentation, there were always things that didn’t particularly work in the ecosystem. AD: What needs to happen really, is to think very clearly about what is the infrastructure that we can build today, which will allow for interoperability between platforms when it becomes a reality later down the line. As long as you start to build those relationships, and start to build that awareness then that’s really the most important thing. VM: We service our clients on the scale of what is their needs. So for example, if it’s around digitization of letters of credit, you would want to go for a consortium that addresses the provision of Supply Chain. So it’s driven by the client. Also, the platform itself does not end up being monetized. So no one’s really looking to make money off the platform per se. Like I said, we want to keep the entry barrier low, so that banks, local banks, smaller banks and some other consortium members can come together. WK: I think blockchain is in the very early stage of its industry life. With regard to the general public, they can’t distinguish cryptocurrency with blockchain technology, even though they are very different. So, I think the first policy should be the education of the market. What benefits can we produce using our technology. 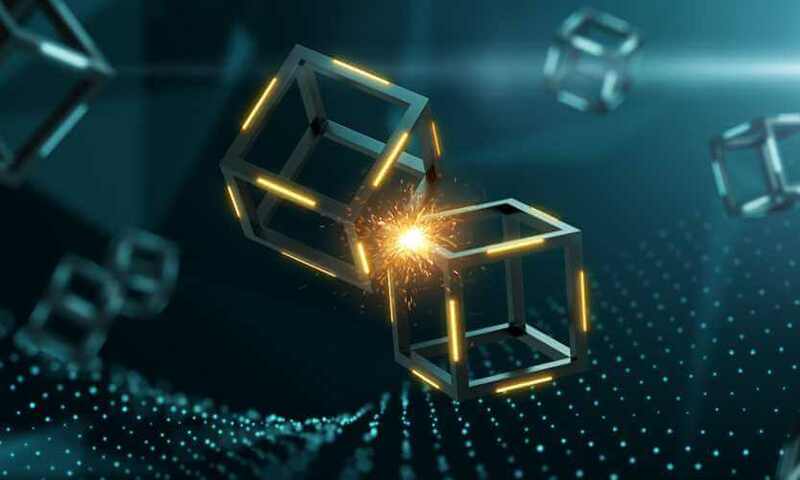 I think it is very important to promote the successful story behind blockchain to the market, and let the general public know the key advantages of using the blockchain network, over a centralised system. Want to find out more? It’s not too late to sign up to Consortia 2019, the first event of it’s kind talking about Blockchain for Trade and Receivables Finance. 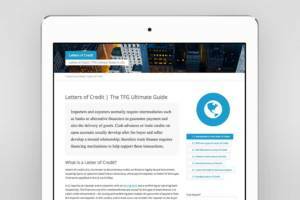 Get an exclusive TFG discount, and find out more here.